FUEL EFFICIENT 23 MPG Hwy/17 MPG City! CARFAX 1-Owner, LOW MILES - 8,605! 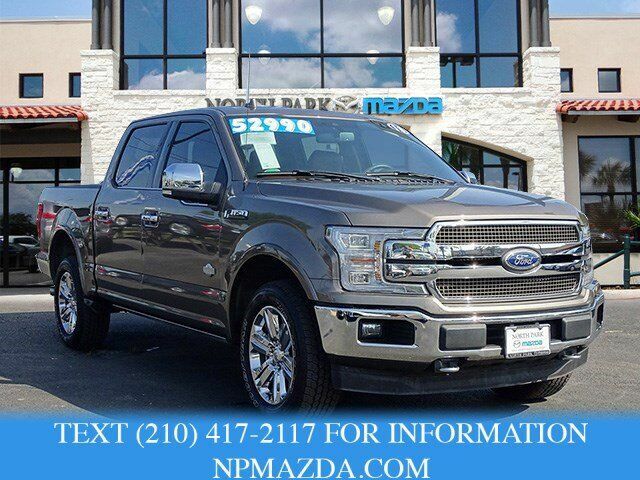 Navigation, Heated/Cooled Leather Seats, Back-Up Camera, 4x4, Heated Rear Seat, Turbo Charged, EQUIPMENT GROUP 601A LUXURY, ENGINE: 3.5L V6 ECOBOOST CLICK ME! Leather Seats, Navigation, 4x4, Heated Driver Seat, Heated Rear Seat, Cooled Driver Seat, Back-Up Camera, Premium Sound System, Satellite Radio, iPod/MP3 Input, Onboard Communications System, Remote Engine Start, Dual Zone A/C, Smart Device Integration, WiFi Hotspot. MP3 Player, Privacy Glass, Keyless Entry, Child Safety Locks, Steering Wheel Controls. EQUIPMENT GROUP 601A LUXURY Inflatable Rear Safety Belts, Multi-Contour Driver & Passenger Seats, Active Motion, Blind Spot Information System (BLIS), cross-traffic alert and trailer tow monitoring (BLIS sensor in LED taillamp), Tailgate Step w/Tailgate Lift Assist, Power-Deployable Running Boards Replaces step bar, Wheels: 20" Machined-Aluminum, light Caribou painted pockets and Caribou wheel ornament w/Caribou King Ranch logo, Tires: P275/55R20 OWL Automatic Transmission, 275/65R18 OWL all-terrain spare tire, KING RANCH CHROME APPEARANCE PACKAGE 2 chrome front tow hooks and tailgate applique, Chrome Skull Caps on Exterior Mirrors, Wheels: 20" Chrome-Like PVD, Caribou wheel ornaments w/King Ranch logo, Chrome Front & Rear Bumpers, Tires: P275/55R20 OWL Automatic Transmission, 275/65R18 OWL all-terrain spare tire, Chrome Door Handles w/Body-Color Strap, Bright Belt Moldings, ENGINE: 3.5L V6 ECOBOOST auto start-stop technology, GVWR: 6,750 lbs Payload Package, TRANSMISSION: ELECTRONIC 10-SPEED AUTOMATIC selectable drive modes: normal/tow-haul/snow-wet/EcoSelect/sport (STD). Ford King Ranch with Stone Gray exterior and Mesa interior features a V6 Cylinder Engine with 395 HP at 5750 RPM*.